Fees may be costing consumers $68 million annually. Consumers could be paying $68 million each year in extra fees retailers are adding to the advertised price of goods and services. Consumer NZ chief executive Sue Chetwin says its latest survey found more than two-thirds of consumers have been stung by extra fees when buying goods and services. “These charges, often called ‘booking’ or ‘service’ fees, are increasingly common in the travel and entertainment industries. But they’re not included in the advertised price, misleading consumers about what they actually have to pay,” she says. We’ve launched a campaign calling for the Fair Trading Act to include rules requiring businesses to disclose the full cost of products upfront. A majority of Kiwis (68%) agree retailers should be required to disclose the total price in their advertising, our survey shows. The practice of adding fees to advertised prices is known as “drip pricing”. Companies use it because it makes consumers more likely to buy. “By the time the add-ons are revealed, consumers are more likely to be committed to the purchase and less likely to shop around,” Ms Chetwin says. “While the Fair Trading Act prohibits misleading representations about price, it hasn’t been effective at stopping drip-pricing practices. We’re inviting people to sign our online petition to get the law changed. • More than two-thirds of consumers have been charged extra fees on top of the advertised price of goods and services. • Of those who’ve been stung by these fees, 87% have paid extra at least once in the past 12 months. • 68% of consumers think retailers should be required to disclose the full price upfront. • Extra fees can add anything from $5 to more than $50 to the advertised price. On average, consumers are paying $13 more. • Retailers could be earning as much as $68 million a year from fees added on top of the advertised price. Data are from an online survey of a nationally representative sample of 1024 New Zealanders aged 18 years and over. The margin of error is +/-3.06%. 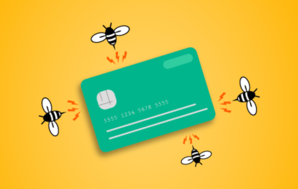 Been stung by sneaky fees? Have you ever bought tickets online and found sneaky charges like booking fees and credit card surcharges added to the price? Sign our petition and help us get tougher rules.